If your predictions are wildly out-of-whack with reality, you need to change your approach. These predictions have been an unmitigated disaster. Not only did the real figures not match up to the advertised ones, but they are also much worse than the baseline expectations. 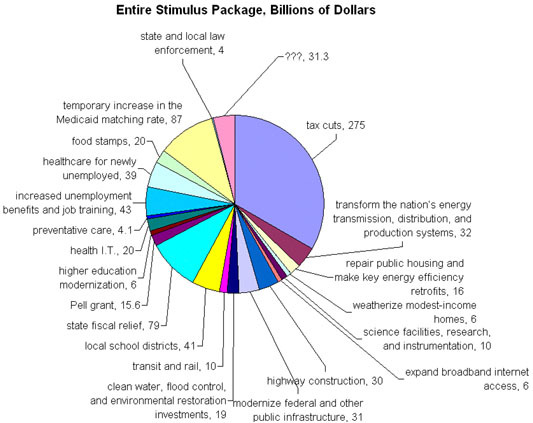 Romer and Bernstein appear to have both severely under-estimated the depth of the crisis, and over-estimated the effectiveness of the stimulus package. To get the full picture, we need to look at the broad outcomes. 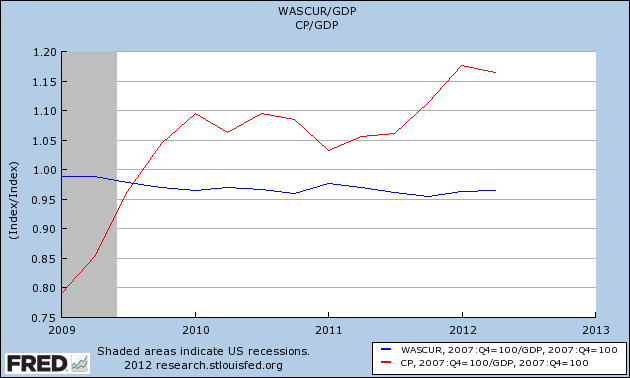 So, who benefited in the wake of the stimulus? Obama might talk about spreading the wealth around, but the aggregate effect of the policies pursued during his administration have squarely benefited large corporations and the financial sector, and not the middle class or small business. Is reinflating financial bubbles and pumping up corporate profits Obama’s idea of recovery? The money isn’t trickling down, and small businesses and the middle class are more in debt than they were before the crisis started. Income inequality is soaring. The financial sector is richer than ever. American infrastructure is still crumbling. Housing starts are still deeply depressed, even as homelessness rises. And of course, employment is still deeply, deeply depressed. 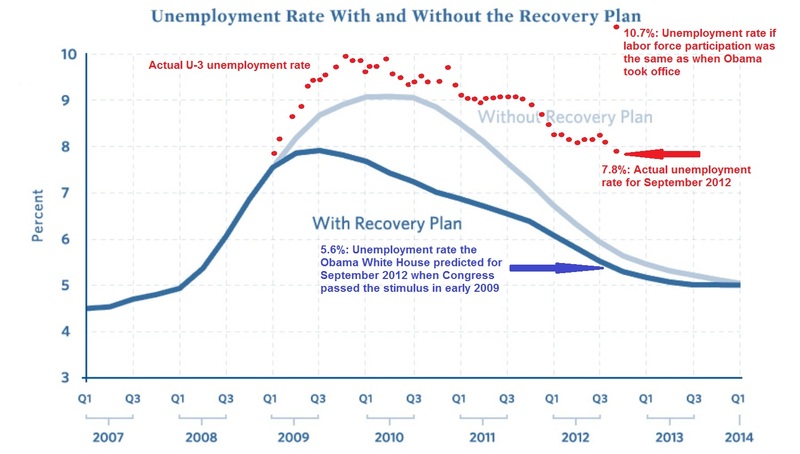 The stimulus didn’t get America working again. With a monstrous and broken financial sector still totally failing to provide adequate capital to Main Street, totally broken algorithm-driven markets that have alienated retail investors, and budget deficits that remain persistently high, this should surprise precisely nobody.